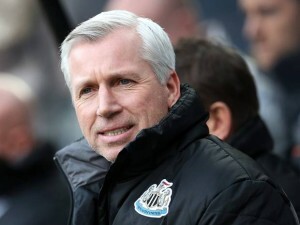 Alan Pardew was asked a number of questions in the last round of interviews he has done, after another humiliating loss to Sunderland, and of course he’s been asked about the mess in the transfer market – Alan is not responsible for that – and he found it hard to answer the questions he was asked – which centered around the selling of Yohan Cabaye. Question: It’s a tough question to ask you but is the club, as it stands, capable of making permanent signings? Question: You said at the start of last week that the club can’t not replace Yohan, but that’s exactly what happened. Question: You said ‘we need to bring someone in, for sure. We can’t lose someone of his quality and not replace him. That would leave us vulnerable’. Do you stand by that? Question: Part of the problem you’ve got is that if you don’t speak out against not getting a replacement it makes it look as though you’re going along with the decisions the board is making and therefore you get criticism heaped on your shoulders and take the blame for that. Question: It does feel sometimes that you’re being asked to manage with your hands tied behind your back. Question: Unfortunately the manager is the only person who will speak for the club. Question: Alan, is there a collective blame for today, from the top of the club, right down to on the pitch? Question: What do you say to Mike Ashley and Joe Kinnear when you’re having those discussions on Friday and it’s clear you’re not going to get a replacement for Cabaye? Do you make your opinions clear on that? Question: How do you lift yourself? The truth in all of this is Alan has been put in a corner to answer questions that should be answered by Mike Ashley and Joe Kinnear, and he’s being very careful not to say anything against the regime. That’s how Alan started his career at Newcastle – by being alone in that press conference and fielding questions from the media in early December, 2010, on why Chris Hughton was fired. 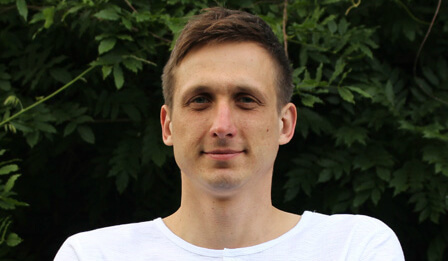 But we think behind the scenes Alan is simply furious with what Mike Ashley and Joe Kinnear did to the club last week – as we reported last night – they’ve just sabotaged Newcastle’s season by selling our top players and not replacing him. And according to Joey Barton and Kevin Nolan – Alan’s not shy in letting Mike Ashley know his opinions – but he does it behind the scenes – like he should do. Joe Kinnear should come out and answer those questions on what has happened in the last two transfer markets. One last thought on Joe – we wonder how many times he uses the F word when he’s negotiating with other clubs for players – maybe that explains why we have no permanent signings since he moved in? I have to say though, how can AP say anything at all when Newcastle’s PR office intercedes and basically gags him. The stopped him answering questions about not replacing Cabaye in his last interview, and in the end he just walked out. OK lads…if you’re all so sure he could get another job in a flash (personally I don’t but lots of you think he could)…then why would anyone in Pardews position stick around??? why would anyone with an ounce of self respect not tell fat boy where to go when being treated like this…what’s so precious about this job making out so difficult to let go. there you go. He can’t say owt. Bound and gagged, then f#cked without lubricant. As has been stated before, I think we should be careful what we wish for. Fashley and Jokenear have much to answer for but are too cowardly to do the answering and leave Pardew swinging in the wind. For those of you who say that Pardew is an idiot for not speaking out and or walking out what would that achieve for us ? It would achieve something for Pardew – he would have a terrible burden lifted off his shoulders and he’d get plenty of compensation moneywise to go along with that. Like him or loathe him, no-one can deny he’s acted with class and decorum under very difficult circumstances. He reminds me of Chris Hughton in this respect. do T4C have a website or any contacts about? Well hopefully T4C laid down the foundations and showed that there is a group of people who care enough about the club and now that Malevolent Mike has shown his hand maybe people will get behind them instead of dismissing them as a tinpot organisation, and for all those advocating a boycott who can’t attend games anyway, why not donate a couple of quid to help pay for planning permission, banners etc. It would be nice to see some video and Alan’s body language during the interview, but from the transcript I’d have to say this is the 1st time that Pardew has actually seemed like a “yes man” to me in the sense that he’s refusing to speak on Ashley’s the lack of transfer investment. Before, he’s been rather direct about us not doing what’s necessary to show the fans and players ambition (albeit in a diplomatic way, MA is still his boss after all). Ciaran or MacToon should be able to help out there. I guess I should add it’s difficult to accuse your boss of shortcoming even if it’s true, and especially if that boss is allegedly angry about your performance. i dont think he can walk and get compo. Only if he gets sacked. Either way, if he goes, we have jfk till the end of the season at least. he’s not acted with class at all…a man with class wouldn’t swear and treat his fellow managers with such distain ala Pelligrini. He has no class…he’s a sewer rat that very few other managers like and even the lads on the sunday supplement made a point of saying how unpopular he is and how unacceptable his outbursts are. He spits venom at all and sundry part from Fat boy because fat boy has him by the bollox and therefore he has to tow the party line. If we had a manager people liked, then those “outbursts” and “venom” would be called “passion” and “frustration”. Dekka walked away out of principle, he showed he wouldn’t be made the fool and fall guy. Pardew would walk into another job too, how many managers get sacked after relegation and still get a good job. hahahaha…the pardew protection league are back in the house…you honestly sit there and tell me you think calling someone a *ucking old cnut is acceptable on the grounds it’s passion and frustration. what did pelligrini do to make the linesman and ref make that decision…why didn’t Pardew call the linesman or ref a *ucking old cnut? I’m not sure about the casino debt, easy to start rumours in the football world, I think he’s complicit in what’s happening to a degree and there’s a big fat bonus at the end for him. Email address is MAOC@hotmail.co.uk as well mate. calm down. Pardew is by no means the only manager to have said and done things like that. He only recieves critisism because people dont like him. sparky, you realize the futility in accusing someone of being in a certain camp when you are clearly on the extreme opposite? It’s like extreme right or left wingers whining about people who disagree with them. You’re not winning anybody over. JFA…mebees…but think you’re clutching at straws there m8. Reading this interview it’s hard not to feel sorry for Pardew. He’s damned if he does and damned if he doesn’t. He’s the only one at the club that gives press conferences and yet has no control over the buying or selling of players. We’re a joke thanks to Kinnear’s appointment and if he goes and a good DOF comes in we may be able to rectify some of this…..but Ashley won’t let his pet gimp go. It’s going to be like the US. Franchisees can just up sticks and disappear to a different city if they feel like it. We might have to reconstruct NUFCin the image we want… It might be a long hard process but infinitely more interesting than relying on some money bags. Joke in ear has absolutely no self respect. Money fills that space for him. Empty vessel. Just read that before the game on Saturday Sammy Ameobi was sick, and doubtful to play…. Why on earth did he play then?? He is hardly a major talent that even at 80% would be a game changer in the Prem. Another completely baffling selection choice. I see your point but the man is on 400k a year, plus whatever he made playing too…. (he confirmed himself he doesn’t gamble and therefore no debts). He would easily get another job, i guess I don’t know the contract he has but usually managers are let go if they want to, maybe ashley won’t release him. If people like mick mccarhty, aidy boothroyd, allerdyce, get jobs…even steve kean is getting a decent wage in malaysia now…pardew would be fine. cheers, spoke to the mike ashley out campaign before, seem good people…..was wanting more the T4C but i spoke to ciaran so should be able to sort it. Thanks for the help though, just had a few ideas last night i’d be interested in helping get put into practice. Clutching at straws ??? You don’t think it’s at all possible that he knows the full extent of Mashleys plans and there’s a bonus at the end for going along with it, sounds a lot more plausible than running up a huge debt in a casino. on sammy…..agree. Same with santon when he is subbed every week. I have to say, whilst not being a Pardew fan in the slightest, in his recent media comments and interviews he seems the most demoralised and despondent that I have ever seen him. I think the strain of working within these shackles is starting to wear thin for him. there you have it boys…a chance encounter in a casino BEFORE he got the newcastle job as written by the independent. Pardew claims he has had to sometimes go into casinos because lambias and Ashley often meet in casinos…fair enough some might say…but what was he doing in a casino before he got the job then??? Maybe it’s because he’s a gambler? Sammy actually looked ok for a short while. I remember he made a nice run down midfield and went past a few defenders. Then he turned completely blind and ignored the open man on his left. T4C is a coalition of a number of fans groups who helped facilitate the march rather than one fan group in itself. By getting involved with MAOC you would actively be involved in a process that could see another T4C event in the future – hopefully that clears up any confusion. You are a very capable writer, are you going to get behind T4C this time and put some ideas forward. There’s been loads of managers that’ve had spats over the years and squared up to each other on the touch line. Unfortunately pardews words were picked up and made a big deal out of. The guy is always superb when addressing the press and speaks with so much passion about the club which he clearly loves. The interviewer summoned it up when they said he’s trying to do his job with 1 hand tied behind his back. Markaccus, true there are probably all kind of restrictive things in his contract about speaking out and walking away, particularly after Fashley got burned by Keegan. Sparky, that outburst was not classy, I agree with you. However Pardew has been offered up as a sacrificial goat on far too many occasions and if you read the transcript it’s very obvious that the press are not having a go at him and are asking him “How can you pick yourself up..? It’s quite clear where the perceived fault lies and I though the reply that unfortunately Pardew is the only one that speaks was excellent. However i stand by my statement that I think he acts with decorum and class when he is put under the microscope at presss conferences and is asked questions about mattes that to be fair to him, he has no control over. Do I always agree with Pardews tactics? No. Would I employ different tacttics and drop players that are not performing? Yes. Do I think Pardew is a useless manager? No. Do I think that any manager will ever be universally acclaimed and all of their choice of tactics embraced? No. That is what makes this sport such a great one to follow, it’s what makes debate with supporters of your own team and others worthwhile. It’s what helps to generate passion and that’s all to the good. Personally I do not think we will ever amount to more than a midtable team under Fashley. His business model is too clear. Hi priorities too skewed towards Finance without any emphasis on a high league finish. Is that Pardews fault ? Do we blame him for playing the cards he’s been dealt ? Would anyone else make more with what we have and if they did would there be any further investment in players at all or would we rely on the youth team to fill the cracks and gaps completely ?